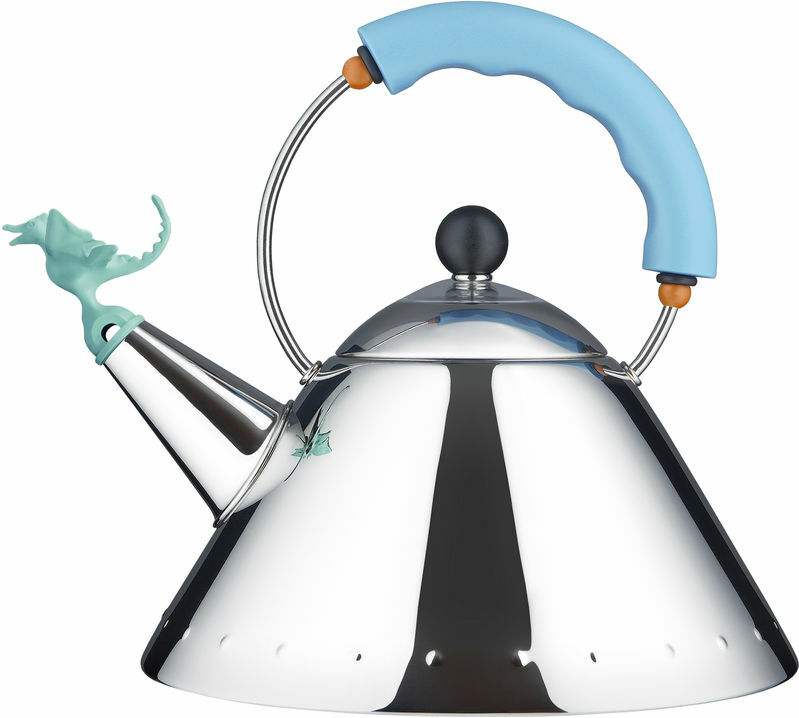 NOVA68.com's Alessi Tea Rex Kettle, a hot water stovetop kettle equipped with a Dragon Whistle, isis a follow up to the cult Bird Whistle design icon of American industrial designer Michael Graves. The original kettle design featured a conical stainless-steel body with a plastic bird-shaped whistle at the end of the spout. These functional 18/10 stainless steel mirror polished kettles, now outfitted with dragons, capture the fusion of function and form for which Michael Graves is famous for. 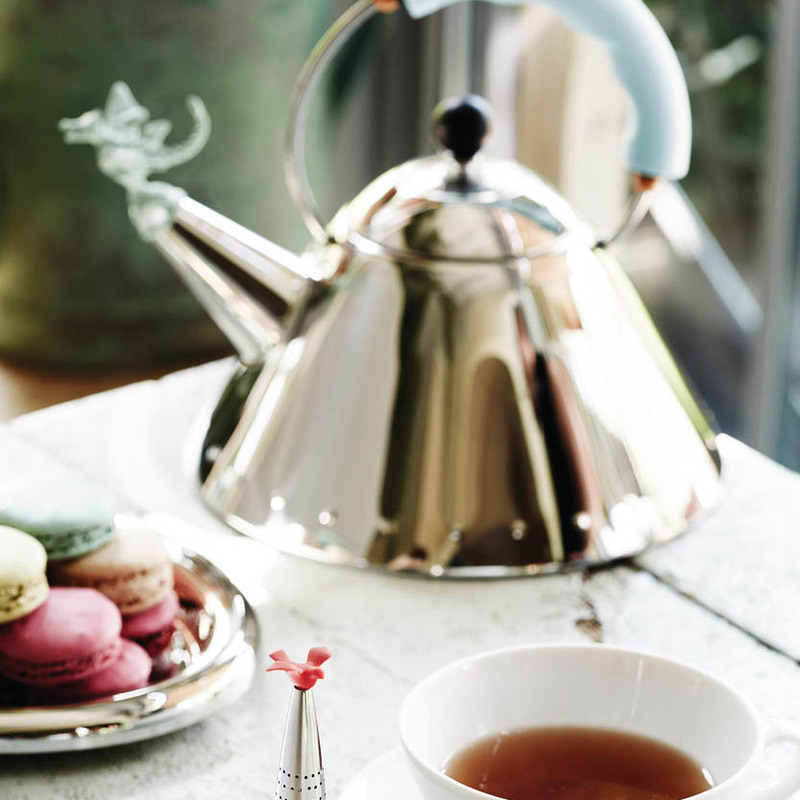 The Alessi Tea Rex tea kettle gives you Alessi's boiling power without the hassle of a cord. 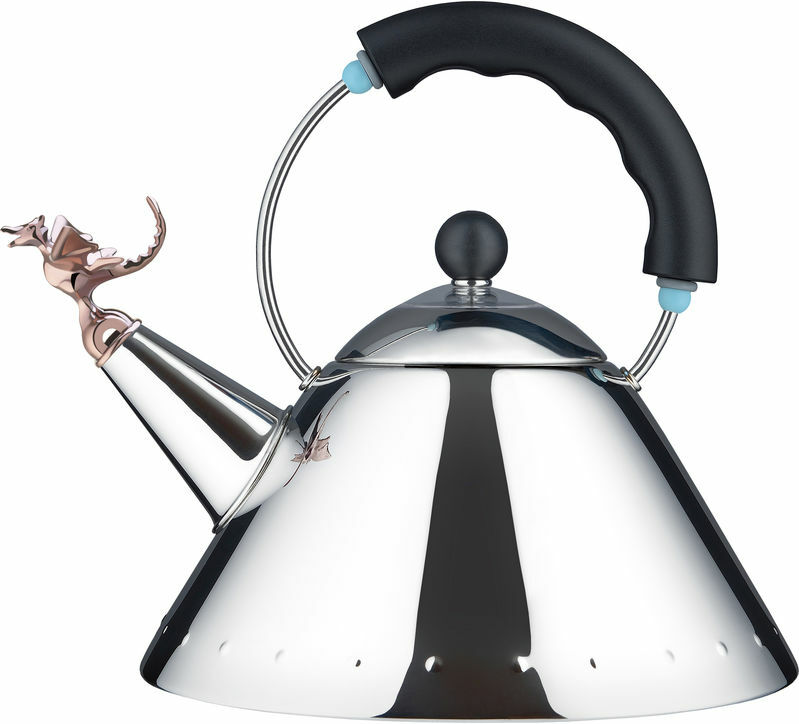 We had a chance to review the Alessi non-electric Dragon Whistle powers of Alessi's Tea Rex Kettle at our office. 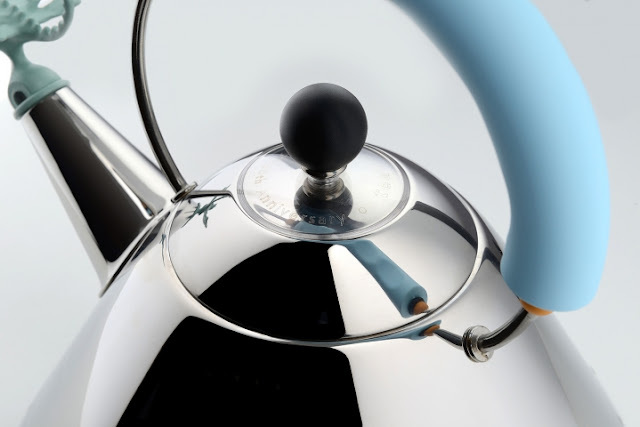 Producing a similar high-pitched whistle tone compared to the whistling bird kettle; this new release is constructed with an air-tight lid, a stay-cool handle, quality stainless steel and a PA plastic dragon whistle. The Alessi TEA REX water kettle is available with either black handle (copper metallic dragon whistle) or light blue handle (light green dragon). 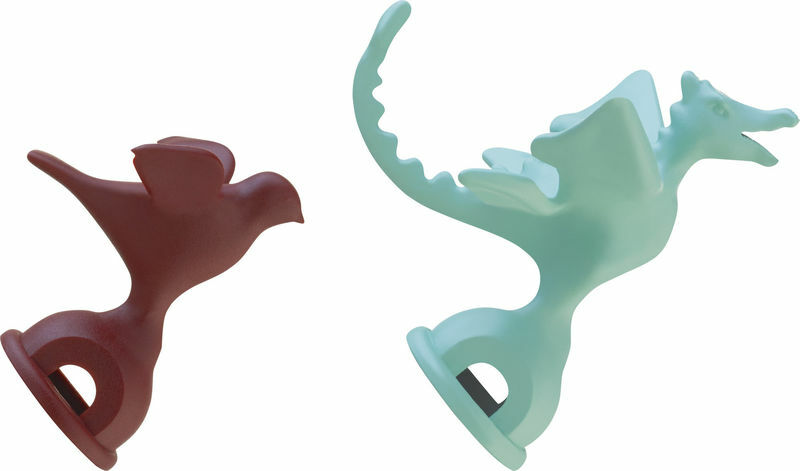 The choice of the little whistle shaped like a dragon is a reference on the part of Michael Graves to Chinese culture for whom these beings symbolise strength and fortune. 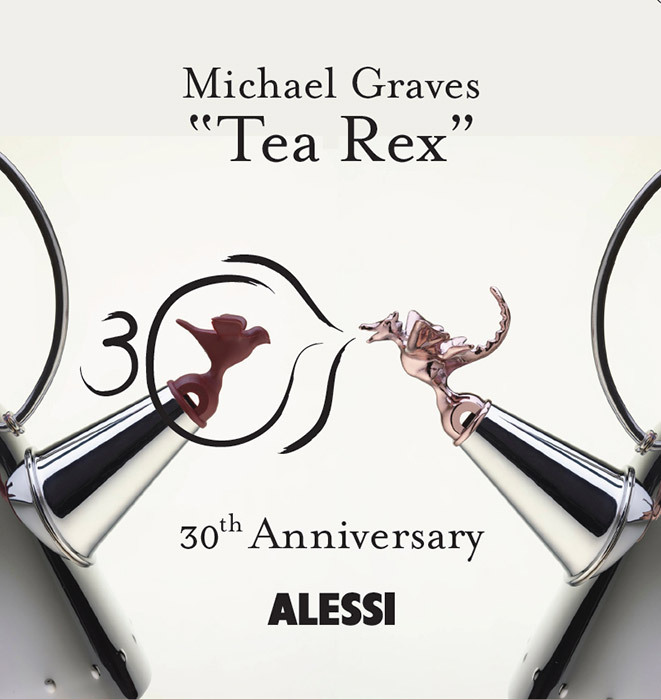 The wording Tea Rex 9093 30th anniversary is stamped on the lid of the kettle.